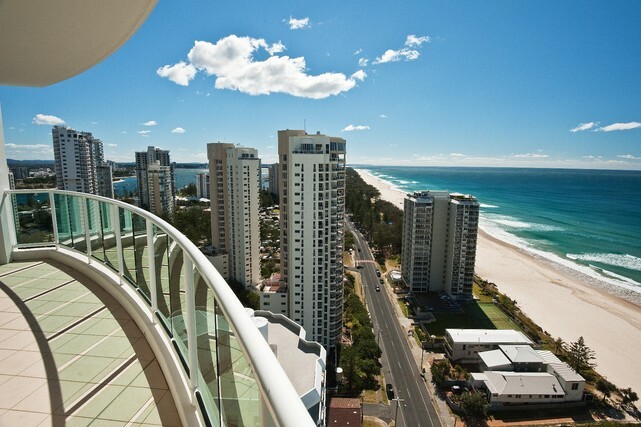 The spectacular Ocean Pacific Resort, ranked at #2 on TripAdvisor is perfectly situated in the heart of Broadbeach. The magnificently furnished one and two bedroom apartments have stunning views of the majestic ocean and pristine sandy shores, earning Ocean Pacific a 4.5 star Official AAA Rating. Ocean Pacific Resort lives up to its well-deserved reputation and not only delivers panoramic views of the rumbling waves from every room, it is conveniently located across the street of the white sand and beautiful aqua waves.Unwind on your private balcony and take in the therapeutic ocean sounds or take your relaxation to the next level by the gorgeous resort pool, surrounded by tropical gardens! 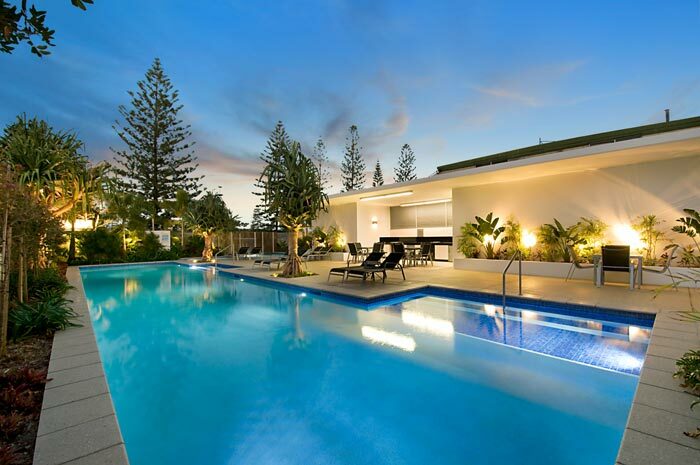 Pack a picnic and enjoy the fantastic BBQ facilities around the swimming area, sun bath, swim or reinvigorate yourself in the heated spa and sauna before heading out for a fun filled night in Broadbeach. The dynamic Broadbeach is home to some of the Gold Coasts best restaurants. Ocean Pacific Resort is in a central nook of the region that provides access to everything Broadbeach has to offer and there is no shortage of choice for dining and entertainment! Kurrawa Surfclub is a favourite spot among the locals with a relaxed family atmosphere and positioned right on the beach – it actually boasts one of the best views on the Gold Coast! 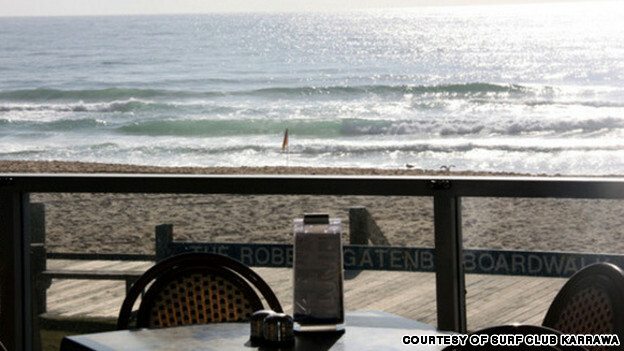 Enjoy a drink or meal while taking in the scenic surroundings of the ocean just in front of you! If it is simple, yet delicious food you want, try the multi-award winning Sage Restaurant here you will taste the likes of some excellent seafood, steak and pub fare classics, with friendly staff and a fantastic ambience. This is a spot not to miss! Fresh. Fish. Daily. is the motto for Yellow Fin restaurant! Situated in the hub of the vibrant Broadbeach precinct and well known for serving some of the best seafood on the Gold Coast. The list is endless and Broadbeach has something for everyone! Not only is Broadbeach thriving with dining options, but retail therapy also comes in several shapes and forms here too! If your trip happens to coincide with either the first or third Sunday of the month, you are in luck: The Kurrawa Park Markets will be open to you, with over 150 stalls of locally made crafts, fresh produce, cookies and cakes to choose between and you can enjoy it all with a great waterfront view. Oasis shopping centre is smack bang in the middle of Broadbeach mall just off the water and boasts over 100 speciality stores ranging from supermarkets to fashion alcoves, designer shoes and yoga studios. 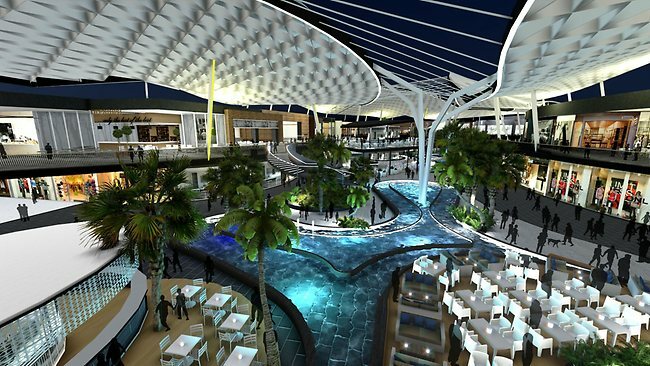 For shopping in its ultimate form head across to Pacific Fair shopping centre. The newly refurbished centre offers over 300 stores including the Gold Coasts largest Myer, a cinema complex and a range of fantastic restaurants. Enjoy your shopping trip with friends, family or even the kids, as there are plenty of facilities and entertainment for them too! The best part is, it’s walking distance from Ocean Pacific Resort. The Gold Coasts Convention and Entertainment Centre as well as Jupiters Casino offer a range of entertainment from live shows and exhibitions to restaurants and bars. There’s always something happening here, and it’s a great night out for the family or a group of friends. With the eagerly awaited arrival of the Gold Coast’s very own tram, it’s easier than ever to explore the Gold Coast’s hot spots. 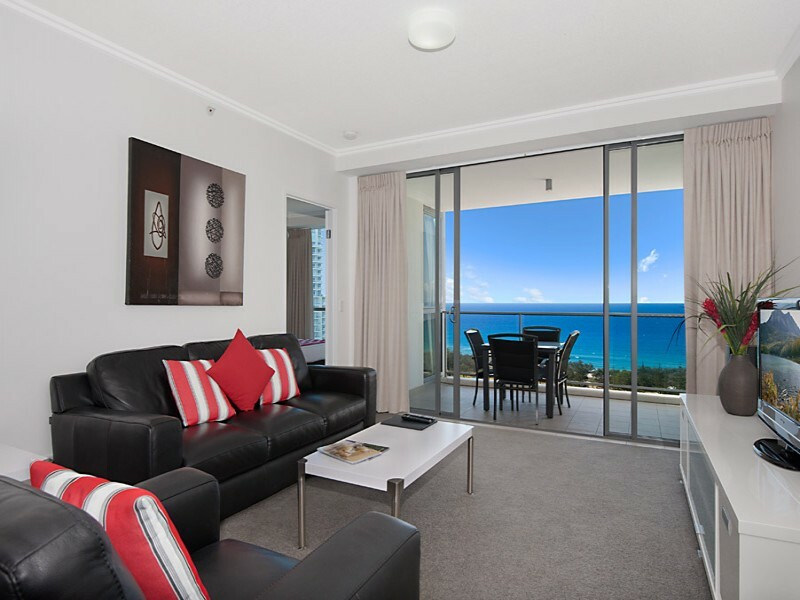 The nearest stop to Ocean Pacific Resort is conveniently located just outside Pacific Fair, connecting Broadbeach to the rest of the Gold Coast. 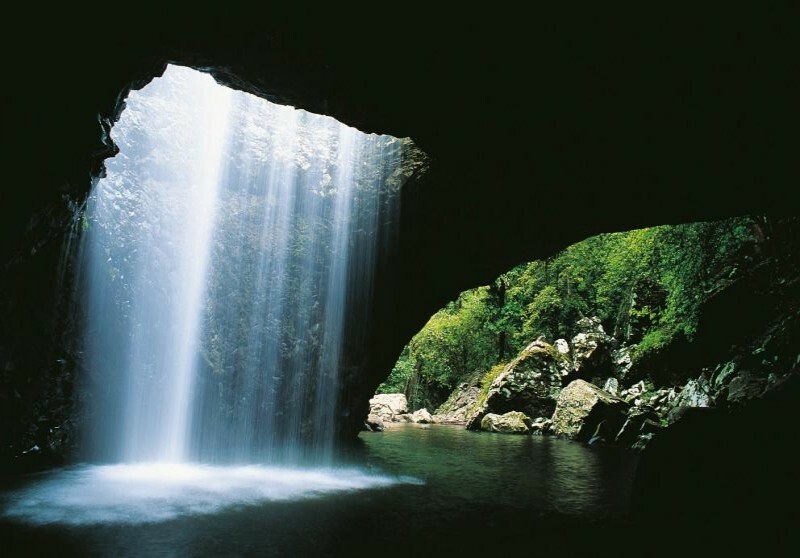 The Hinterland offers stunning nature walks, beautiful native flora and fauna, and quaint cafes, while theme parks are just north of Broadbeach and waiting to be enjoyed with their thrilling rides and attractions. With so much on offer, the Gold Coast is more accessible than ever! Awarded the TripAdvisor ‘Certificate of excellence’ 5 years running and recently elevated to the review body’s prestigious 2015 fall of fame, Ocean Pacific Resort is the ultimate resort to stay at on the Gold Coast. With excellent customer service and fantastic resort facilities, spacious and gorgeously furnished apartments with magnificent ocean views, it’s no wonder Ocean Pacific Resort is constantly achieving awards.